What are flood zones and how do I know if I’m in one? If you’re a homeowner, you probably don’t lie in bed worrying at night about if your home gets flooded. But if the 2013 Alberta floods have taught us anything, it’s that disasters can and do happen. While there’s little you can do to stop once-in-a-lifetime weather events like the Alberta floods from occurring, there are steps you can take to protect your home – mainly by not buying a property located in a flood zone. Here’s a fact that may surprise you – most insurance policies offer limited protection when it comes to floods. 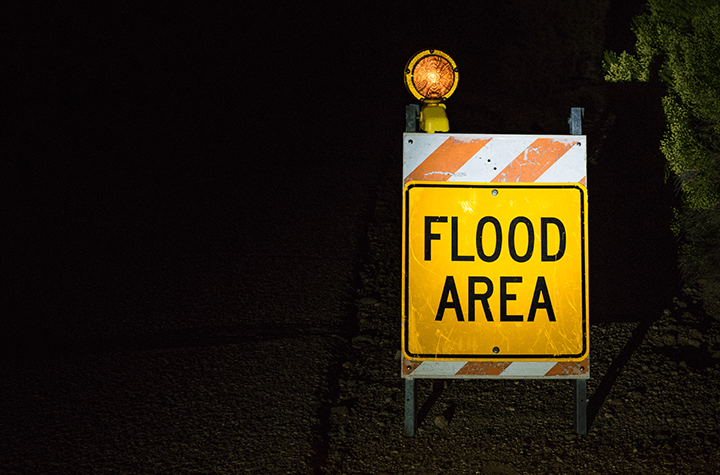 While many insurers offer flood protection for floods caused by sewer backups, many offer limited or no coverage for inland flooding, such as when a river overflows and floods your home. Earlier this year, many Canadians were distraught to find this out the hard way. A flood zone or flood plain is an area prone to flooding during big rainstorms. If you’re located in a flood zone, your property is more than likely located near a stream or river where the banks could overflow due to heavy rain, leading to your home being flooded. If you’re located within a flood zone, it can end up costing you a lot more in home insurance. That’s because when a lender identifies that you’re located in a flood zone, they’ll more than likely require you to purchase flood insurance before they approve your mortgage. Depending on how prone your area is to flooding, flood insurance can range from a few hundred to a few thousand dollars a year on top of your regular home insurance premiums. How do I know if I’m in a flood zone? To avoid being blindsided with higher insurance premiums, it’s a good idea to find out if a home you’re considering purchasing is located in a flood zone before you buy. You may need to find out for yourself by reviewing flood maps. However, even municipalities may not have updated maps to share. If you are able to get your hands on a current one, a flood map helps measure the risk of flooding if your property is located on or near the waterfront. They’re also used by insurance companies to calculate home insurance premiums. Flood maps may be fun to look at, but they’re complicated and time consuming to prepare (thankfully the experts take care of them). Complex calculations are used to determine the risk of certain areas being flooded. Flood maps take into account several factors, including historical floods, change in river levels and flow rates, and elevation of land. Flooding experts then map out two scenarios: 20-year flood zones for areas likely to be flooded once every 20 years and 100-year flood zones for areas likely to be flooded once every 100 years. How do you obtain flood maps? It all depends on where you’re located. Sometimes municipalities provide flood maps. Other times it’s provincial governments. To find out how you can obtain a flood map, it’s best to ask the city or your real estate lawyer. Flood maps can be obtained for a nominal fee and are well worth the cost.